What do you do when loss threatens to break your heart? How do you find the courage to go on with life? 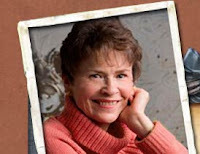 Those are just two of the questions faced by Ellie Craig in Ann Shorey's newest book "The Promise of Morning," the second book in the At Home in Beldon Grove series. In the novel, Ellie Craig must find a way to deal with the deaths of three infant children and the depression that follows - despite having the love of her husband, Matthew, a pastor who is facing his own heart break and disappointment related to his ministry. The Promise of Morning is filled with themes of overcoming tragedy, finding strength to meet daunting challenges, and trusting your heart to love again. The good: I thought Shorey created an interesting community in Beldon Grove. I could imagine life around the small, frontier town. I thought the conflict she created among the pastor and the coming Shakespearean play - echoed things that I've experienced in present-day ministry conflicts. I also thought her story lines were intriguing - although, I often found myself skipping ahead to find out what happened with a side story, rather than plowing through the main story themes. With that said, this is definitely a book I'd be willing to pass on to someone else - because I have a feeling others will resonate with the book's message of hope and endurance. She's determined to make it--and she doesn't need a man's help to do it. It is the summer of 1838 in St. Lawrenceville, Missouri, and Molly McGarvie's life is about to change forever. When her beloved Samuel succumbs to cholera, Molly is heartbroken but resolves to take care of herself and her children. When Samuel's unscrupulous brother takes over the family business and leaves Molly to fend for herself, she knows she must head out on her own. It is a dangerous journey, and along the way she must face the loss of another family member. Somehow she must find a way to make a living, restore her family, and fend off some overeager suitors. 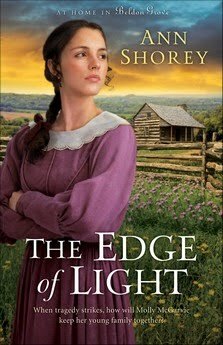 Book one in the At Home in Beldon Grove series, The Edge of Light will captivate you with the true-to-life emotions of one woman's struggle to survive. Thank you for reviewing The Promise of Morning, and giving the plus and minus of the story! The Edge of Light, Book 1, does feature a different protagonist but all the lives are intertwined. Matthew and Ellie and their family members are very much present in the first book, as well. What a thoughtful review! I've included a link to it as a second opinion on my own blog. 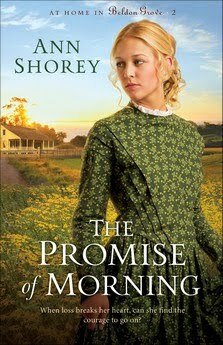 Although I love Ann Shorey, I found that "A Promise of Morning" to be emotionally difficult. Being a Pastor’s wife myself, I find myself overly sensitive to the depiction of Pastors and their families. I did not enjoy the character of Pastor Matthew and did not like how he was such a “bull in a china shelf” and created judgements of others so quickly. If you're interested, I have more to say on my site at www.tracysbooknook.com.